Tokyo, Japan, May 13, 2013 – TheTeijin Group announced today that it will participate in Chinaplas 2013, Asia’s largest international exhibition for the plastics and rubber industries, which will be held at the China Import and Export Fair Complex in Guangzhou from May 20 to 23. 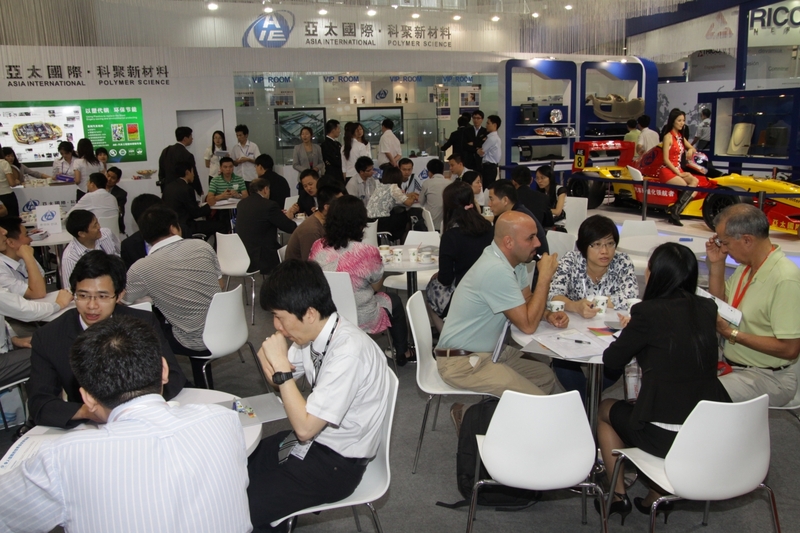 Marking its 14th appearance at the event, Teijin will emphasize its involvement in the fields of mobility, information and electronics, and the environment and energy in China, a high- priority market in the Teijin Group’s medium to long-term growth plan.The exhibit will include a wide variety of advanced, high-quality materials, including resins, films and carbon fibers produced by the Teijin Group. Some of the representative items to be showcased at the Teijin booth (11.2J41) follow. Panlite is a polycarbonate resin used as a glass alternative in vehicles around the world, including the new Citroen DS5. It also is incorporated in large molded automotive components, such as panoramic roof systems and rear garnish. As environment awareness increases in China, the demand for LED lighting is growing. The Teijin booth will exhibit resin materials suited to LED lighting applications due to their advanced properties for light-diffusion, industry-leading thinness of 1.0mm and excellent flame retardancy based on the UL standard Subject 94 V-0. Teijin resins are incorporated in diverse lighting applications, including straight-tube lighting, lamps and ceiling lights. Biofront and Planext bioplastics are oil-free materials suited to a wide range of applications, including automotive parts, electronic products and components, and medical products. The booth also will exhibit Teonex, a PEN resin with growing applications in tableware and bottles. Teijin also will exhibit various grades for optical lenses developed for smartphones and tablet PCs and a proprietary composite resin material incorporating nickel-coated carbon fiber that provides 50% greater electromagnetic wave shielding than conventional materials. Teijin (TSE 3401) is a technology-driven global group offering advanced solutions in the areas of sustainable transportation, information and electronics, safety and protection, environment and energy, and healthcare. Its main fields of operation are high-performance fibers such as aramid, carbon fibers & composites, healthcare, films, resin & plastic processing, polyester fibers, products converting and IT. The group has some 150 companies and around 17,000 employees spread out over 20 countries worldwide. It posted consolidated sales of JPY745.7 billion (USD 7.5 billion) and total assets of JPY 762.4 billion (USD7.7 billion) in the fiscal year ending March 31, 2013. Please visit http://www.teijin.com/.